"Prince Harry says Donald Trump is not welcome at his wedding: ‘Trump is a serious threat to human rights.’ "
By Sophie Kaplan on Friday, December 1st, 2017 at 3:53 p.m.
A headline on a Nova Magazine article falsely said Prince Harry said President Donald Trump isn't welcome at his wedding. With the engagement announcement of Prince Harry and Suits star Meghan Markle, several news sites have speculated whether President Donald Trump will be invited to the royal wedding. Nova magazine published an article on Nov. 27 with a clickbait headline that is not just speculation but a false statement. The headline reads: "Prince Harry says Donald Trump is not welcome at his wedding: ‘Trump is a serious threat to human rights.’ "
Harry and Meghan became engaged earlier in November but announced their engagement on Nov. 27. Very few details have been released about the wedding, other than it will take place in Spring 2018. There is no record of Prince Harry uninviting Trump, nor is it likely that he would. The royal family typically tries to shy away from drama. The royal family has put out two press releases regarding the engagement, and neither mention an invite list. The Obamas were not invited to Prince William and Kate Middleton’s wedding in 2011. The other quote in the title, "Trump is a serious threat to human rights," is from reporting done in an Us Weekly article. Us Weekly said a "close source" told them that Harry "is not a fan" of Trump and thinks he "is a serious threat to human rights." But that source was anonymous and we don’t find it credible. The Nova article said that Markle called Trump "misogynistic" and joked about moving to Canada (where Suits is filmed) if he were elected. Markle did say that, on a panel she participated on for Comedy Central’s Nightly Show with Larry Wilmore on May 4, 2016. It seems unlikely that Trump will be invited to the royal wedding. But Harry never made a statement about it, nor did he say that Trump was a serious threat to human rights. Such a statement would have garnered worldwide headlines. 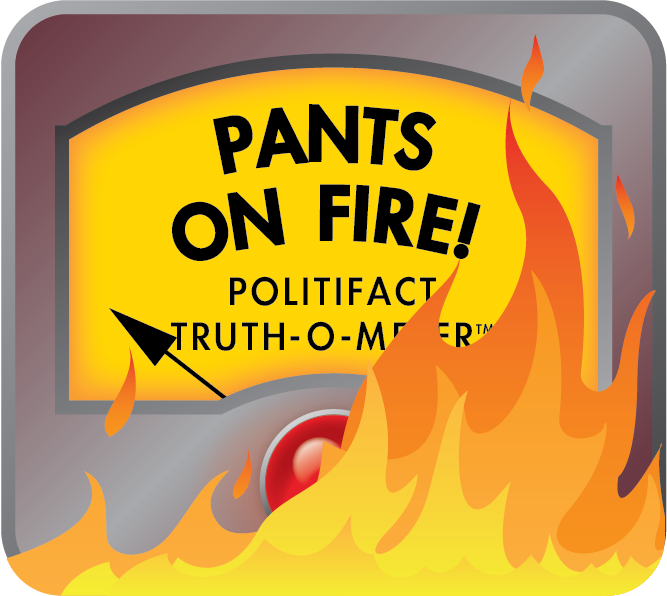 We rate the claim that Harry said Trump was not welcome to the royal wedding as Pants on Fire. Published: Friday, December 1st, 2017 at 3:53 p.m.